Post Rx and/or attempted tries with accompanying reps for each exercise. Q: from "Mra" via comments - I wanted to know more about cortisol and why you posted that [flowchart]. A: Mra - Great Q. Thank you. 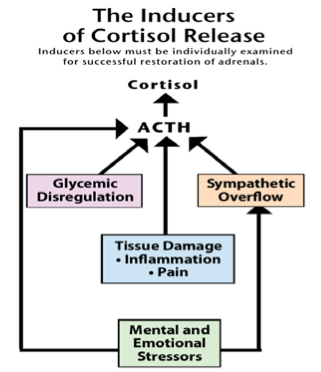 Cortisol is a stress hormone. Healthy levels of it help you in many ways (regulate blood pressure, produce energy for your brain, help your body burn fat). Too much of it makes you unhealthy. Too much cortisol: Suppresses your immune system (incr infections and illness); increases cholesterol (heart attacks and strokes); decreases insulin sensitivity (diabetes); increases inflammation (allergies, autoimmune diseases, arthritis, etc); produces collagen breakdown (wrinkles, joint problems, aging); stimulates gastric acid (heartburn), incr water retention; inhibits PH regulation (muscular function, autoimmune diseases); acts as a diuretic hormone (chronic dehydration); stimulates copper enzymes (increases infection, tissue breakdown); reduces bone formation (osteoporosis, bone injury); deregulates blood pressure (cardiovascular disease); inhibits corticotropin release (depression, anxiety); reduces serotonin production (reduced feelings of well-being); shuts down reproductive system in both males and females resulting in infertility and miscarriage; is primarily responsible (outside of improper diet and exercise) for making people fat! Any one of the above can undo your attempts to become healthier. ALL are present when you are over-stressed. I posted the flowchart to illustrate the factors that increase cortisol production in your body. I did this because after 16 years we have learned that it doesn't matter how perfect your diet is...It doesn't matter how perfect your workouts are...unless you control your stress levels, it could all be for naught. 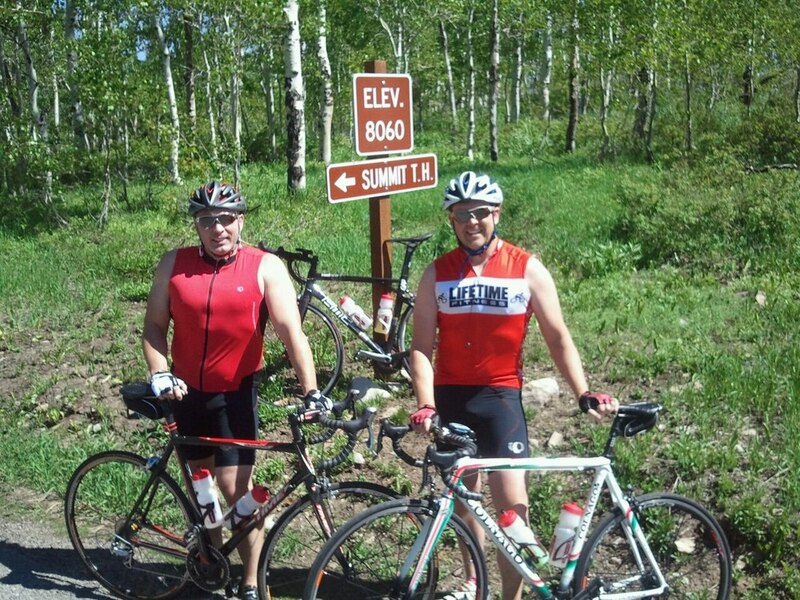 DW & BC climb over 4000 ft in 12 miles!